Do you want a coach who is just "dabbling" or one who takes his job as your Coach seriously? 2019 will be Ken's 13th year committed to coaching triathletes in Kansas City and nation-wide. ​Always Learning - Ken is constantly improving his knowledge and skills as a coach. 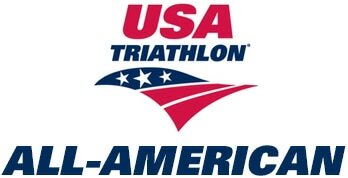 He became a USA Triathlon Coach in 2008 and continues to study and maintain his certification. Recently Ken joined a "Coach the Coach" program led by a USAT Level III Master Coach, this program provides him opportunities to improve his technical knowledge as well as new ideas to help him offer better service to his clients. Busy - Ken is a full-time triathlon coach, part-time employee of a software company, father, husband and competitive athlete so he fully understands that athletes don't have time to waste on unproductive training activities. Ken appreciates your efforts in trying to balance triathlon with family, work and other commitments. Patient - Ken's clients have a variety of athletic abilities, from beginners to advanced. His clients include people who initially couldn't swim or didn't own a bike. He also coaches an Age Group World Champion and Kona Qualifiers. They come from all walks of life including attorneys, physicians, entrepreneurs & executives as well as stay-at-home moms & college students. Coach Ken Welsh has been competing in triathlons since entering a Sprint race in 1992. With no athletic background and no idea what to do, it was a very humble beginning to what became a passion in his life. Following that experience, through progressive, consistent training and study Ken improved his performance. Boston Qualification - Set a "Masters Personal Record (PR)" of 3:17 at the Tulsa Marathon. Half Marathon "Masters PR" - only 34 seconds behind an 11 year old actual PR. Half Ironman 70.3 "Masters PR" - missed actual PR from 13 years earlier by <10 minutes. Kona Qualification - Equaled his 140.6 PR. Finished 2nd in the 45-49 AG. 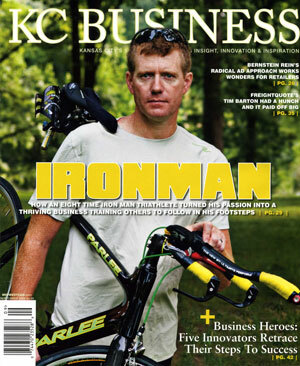 Click the cover to read the article about Ken in Kansas City Business Magazine.